Steampunk Jewellery : Emilly Ladybird's Steampunk Jewelry: Paris Fashions Ahoy! To celebrate the beautiful new look to my journal, I have a special treat, you can now download your very own Emilly Ladybird Dress up doll! 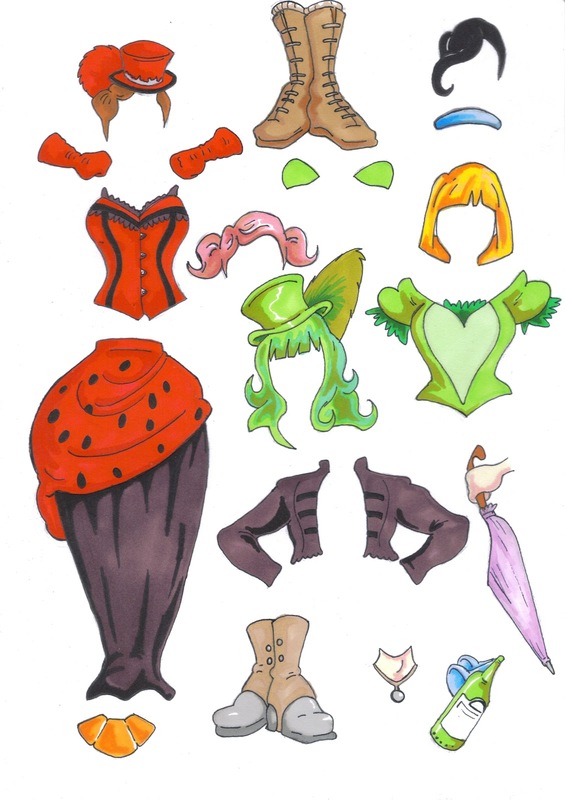 Drawn by Mr Kit Cox, you can mix and match all Emillys favourite costumes, including The Steampunk Absinthe Fairy, The Britannia Gown and even colour in or design your own. You could print them out onto Magnetised paper and cut out with sharp scissors or simply cut out with extra tabs to fold round a cardboard Emilly. 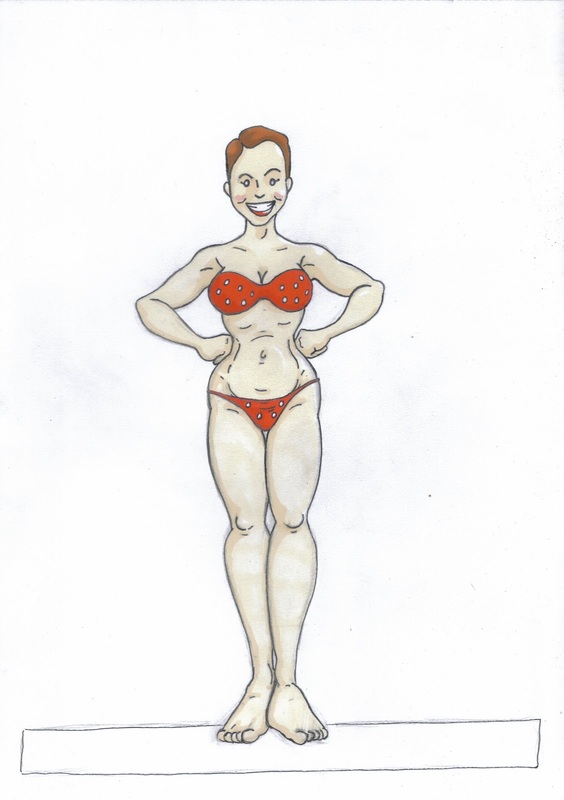 There will be a few different pages appearing over the next few weeks!